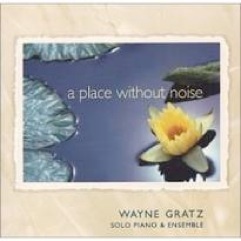 I have been a big fan of Wayne Gratz’s original music since the release of his first album, Reminiscence, in 1989. After many years with the Narada label, Gratz formed his own label, Wayne Gratz Music, and now has total creative freedom. “Light Lands and Shoreline” is Gratz’s fourth release on his label, and it’s a beauty. Commissioned by Thomas Kinkade to create a soundtrack for a DVD collection of his recent paintings (www.galleryplayer.com), this music undoubtedly enhances the visual experience greatly, but the music itself has no need for illustration. Although I am not a fan of Kinkade’s artwork, I thought it would be fun to match up the music titles with the paintings, just to see where the inspiration came from, but I could find no clues on the galleryplayer site or Kinkade’s. None of Kinkade’s artwork is in the liner notes of the CD, either, so if you want the whole experience, start with the DVD set. 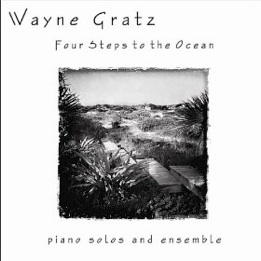 Again, the music has no need for visuals, as it clearly tells its own story in the quiet, peaceful voice Wayne Gratz is known and loved for, using his wonderful Yamaha grand piano with minimal washes of synth color to cast a quiet spell. 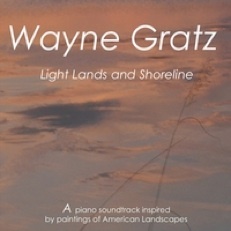 Light Lands and Shoreline is a wonderful listening experience from beginning to end, and I highly recommend this CD. 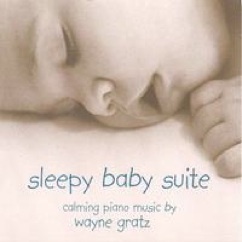 It is available from www.waynegratz.com, cdbaby.com, and iTunes. A winner!